MOSCOW - Prime Minister Vladimir Putin has "exhausted" his potential as Russia's leader, Mikhail Gorbachev declared Thursday, saying Putin's inability to change the Kremlin's political system might prompt more massive anti-government protests. Putin - who became prime minister after serving as Russia's president from 2000 to 2008 - is almost certain to become president again during the March 4 election, despite opposition rallies that have been the largest protests Russia has seen since the 1991 Soviet collapse. 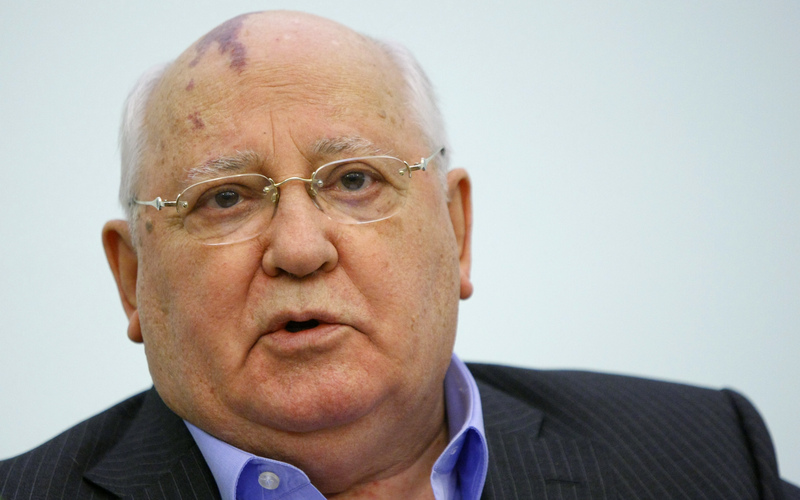 "If he does not overcome himself, change the way things are - and I think it will be difficult for him to do that - then everything will end up on city squares," Gorbachev, the last Soviet leader, said at a news conference. Hours later, however, Putin came forward with suggestions of how to cut corruption, a constant plague in Russia, and even made amends with businessmen involved in the unpopular 1990s privatization of state enterprises.